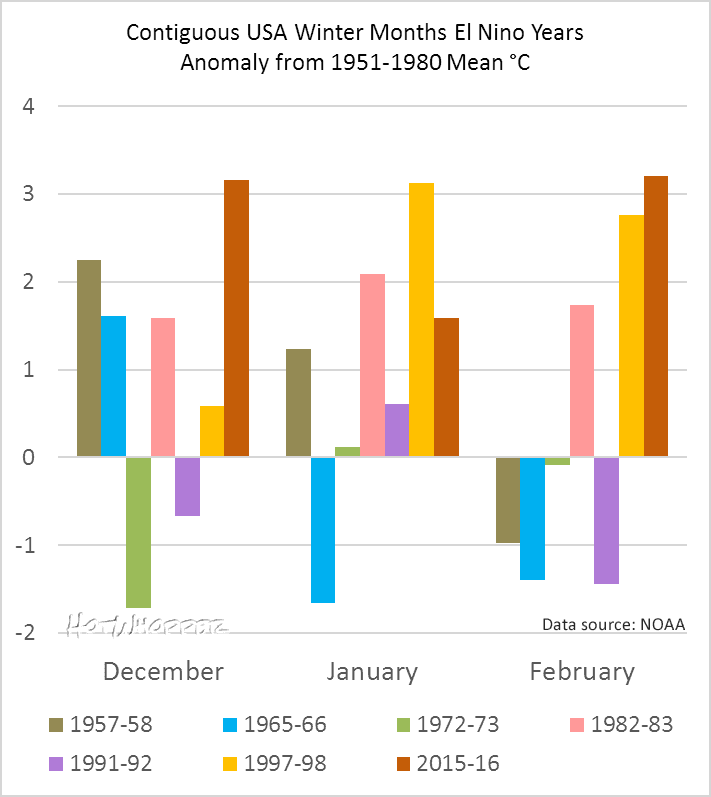 The December-February average temperature for the contiguous U.S. was 36.8°F, 4.6°F above the 20th century average, surpassing the previous record of 36.5°F set in 1999/2000. The record warm December boosted the contiguous U.S. winter temperature. Anthony thinks that statement is "ridiculous". He wants to blame all the record heat this winter onto the weather in the tropical Pacific. He's having none of climate patterns in the North Atlantic, the rest of the Pacific and other parts of the tropics. Anthony's pushing the Bob Tisdale meme that it's El Ninos, not greenhouse gases, that are heating up the USA and the planet. Anthony is turning into a greenhouse effect denier. December’s weather pattern featured a typical El-Nino configuration. A northern branch jet stream confined cold air to central Canada, and a strong southern branch of the jet stream brought cool wet weather across portions of the deep south. The recent news article that Anthony seems to think is "ridiculous" compared this past winter with winters from previous strong El Ninos. I've put together a couple of charts to show the differences. You can see the increasing warmth over time. Even though the years shown were all strong El Nino years, there is an underlying warming trend from the increase in greenhouse gases. The biggest difference in this latest winter was December 2015. January 1998 was hotter than January 2016, but December 2015 and February 2016 were both hotter than their counterparts in the 1997-98 El Nino season. 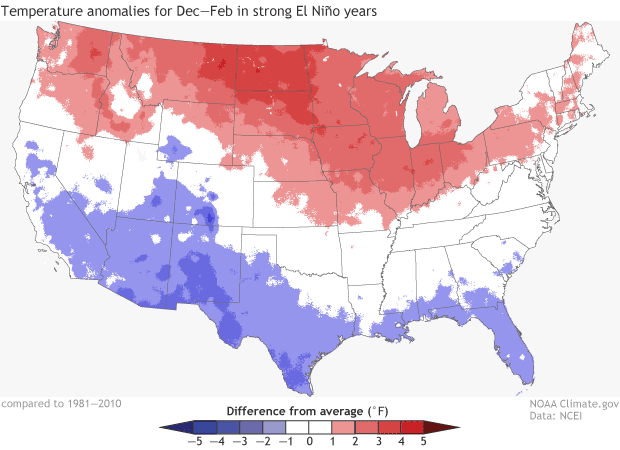 The months in other El Nino years are all over the place, and most were much cooler than the three months of this past winter. Global temperature trends say little to nothing about the 1.5% of the planet that is the contiguous USA land surface. Ryan Maue's chart doesn't show any zone except for the tropics. The high latitudes are warming more than the tropics. Another point worth noting is that the data plotted is from a reanalysis product, the NCEP Climate Forecast System. The product combines recent observations and models and is used for short to medium term forecasting. It's not the most suitable product for historical assessment of long term trends. in the NOAA article, Jake Crouch said that the following question has yet to be answered: "How much of the record warm winter was due to the El Niño, and how much was due to other climate patterns, including climate change?" 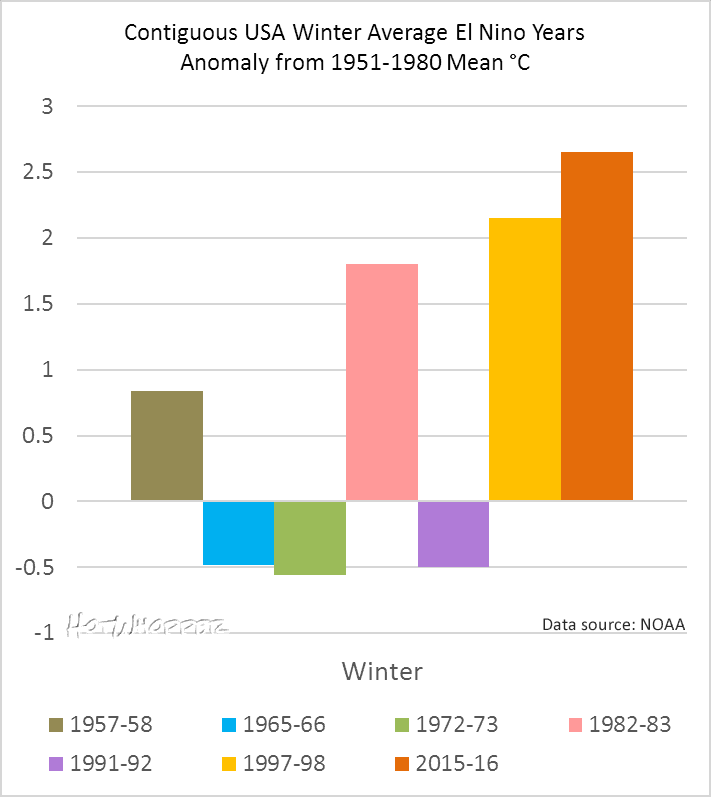 Regarding the last point, Anthony Watts is trying to convince his readers that a record hot winter, something that by definition hasn't ever happened since records began, isn't "unusual" and that it is solely because of El Nino. Anthony has not done an attribution study. He wouldn't know what it is, let alone how to do one. He ignores the fact that Jake Crouch did say that the record heat was in part influenced by El Nino. He ignores the fact that the weather pattern over the USA was different this winter to the average for El Nino years. You can see how Anthony's brain has stopped working if you try to follow his cherry-picks and logical fallacies. What Anthony seems to be trying to argue is that because El Nino years are often associated with new heat records, that means that global warming is caused by El Nino's not greenhouse gases. Of course that doesn't make sense. 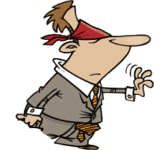 There is no physical mechanism to explain how El Ninos can cause long term warming. Within a fairly short time, the extra heat released from the oceans would be radiated to space if greenhouse gases were held constant. There is a physical mechanism to explain how adding greenhouse gases will cause long term warming. So while no two El Niños are the same, this one in 1998 had quite an effect on global temperatures, calling them “unprecedented”. No Anthony. What was said to be unprecedented was the warmth in the Indian Ocean. The El Nino was in the Pacific Ocean. Global temperatures in 1998 were the warmest in the past 119 years, since reliable instrument records began, since reliable instrument records began, the Commerce Department's National Oceanic and Atmospheric Administration announced today. The previous record high surface temperature was set last 1997. The global mean temperature in 1998 was 1.20 °F (0.66°C) above the long-term average value of 56.9°F (13.8°C). This was the 20th consecutive year with an annual global mean surface temperature exceeding the long-term average. The above time series shows the combined global land and ocean temperature anomalies from 1880 to 1998 with respect to an 1880-1997 base period. The largest anomaly occurred in 1998, making it the warmest year since widespread instrument records began in the late Nineteenth Century. 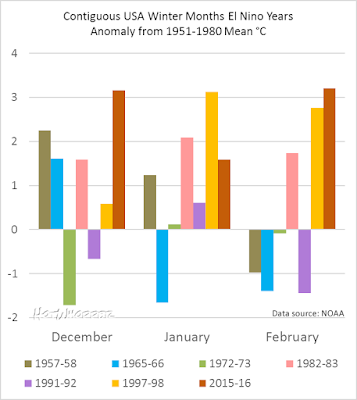 The second warmest year was 1997, and seven of the ten warmest years have occurred in the 1990s. It seems odd that they’d place the slightly smaller 1998 El Niño event as the cause of record breaking temperatures, but then try to dilute it when an even bigger event comes along in 2015. Anthony Watts is taking the US weather personally. Whether that's because what's happening is in stark contrast to his view of the world, or whether he sees the writing on the wall that spells doom and gloom for his climate conspiracy blog, I'm not in a position to say. Probably a bit of both. He's clearly sinking into a deluded state of denial and wants to drag down as many of the deluded with him as he can. Robert doesn't understand what the "37%" related to - and he got "this agency" and the percentage wrong. NOAA was apportioning probabilities (out of 100%) over the then hottest years and showed that it was most likely that 2014 was the hottest. It was not saying that there was only 37% chance that 2014 was the hottest year. Out of 100%, NOAA estimated that 2014 was most probably the hottest year on record to that date. It was 48% in favour of 2014 as the hottest, only 18% in favour of the next hottest 2010, and only 13% in favour of 2005 being the hottest (see here). Pamela Gray has rocks in her head and thinks an ice age is comething. 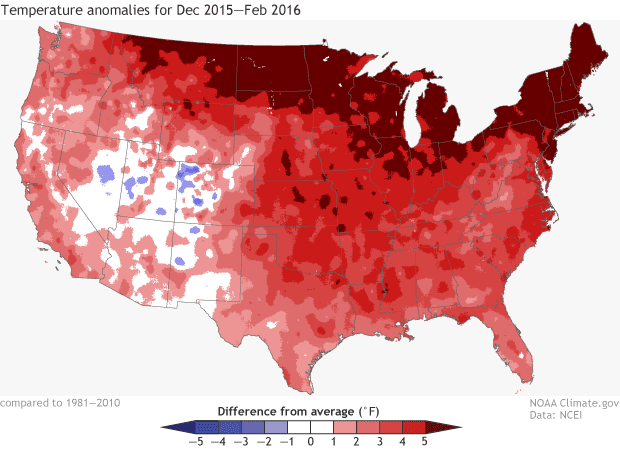 Beyond record hot, February was 'astronomical' and 'strange' - article by Seth Borenstein for Associated Press. It is comforting to see that some of them are still fondly clinging to their ice age. You know where you are when there's a imaginary ice age thrown in. A couple of years ago Pamela Gray used to pretend to be semi-literate in science. Then she disappeared for a while and has come back a full blown ice age comether. Could be someone else is posting as Pamela Gray I suppose. Who'd know? I suppose the rational of the "ice age cometh" story is it leads nicely to the "AGW is necessary to counter it"
so why all the fuss!!! At a certain point Sou may want to shift focus and highlight any quotes from WUWT commenters that aren't batshit crazy. It would certainly save her time. I don't look at it that often, but I had the impression that comments at Curry's blog are where WUWT may have been several years ago in terms of the proportionate number of 'skeptics' to cranks to raving loonies. 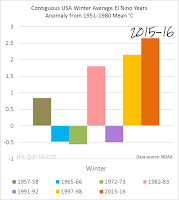 Anthony Watts wrote: "It seems blindingly obvious to me (and to Dr. Ryan Maue) that ENSO is the main driver of these warmer and record temperature, but NOAA would never show the public a graph like this ..."
Either he follows in Tim Balls footsteps and sees science as a conspiracy or he admits here that unlike WUWT NOAA prefers not to show the graph of Ryan Maue because it is misleading. What Anthony seems to be trying to argue is that because El Nino years are often associated with new heat records, that means that global warming is caused by El Nino's not greenhouse gases. Heat records in the absolute temperature are associated with summer weather. Does that mean that global warming is caused by the seasons? 6. He compares Maue’s and GISS anomalies directly without accounting for the fact that Maue’s baseline is 1981-2010, while GISS baseline is 1951-1980?